When you think of a vacation in Doha, you tend to think about a desert experience in the Middle East rather than a paradise resort island off the coast. Well, just off the coast of the Qatari capital is a world you wouldn’t expect called Banana Island. Named due to it’s fruit shaped coast, the island is home to a luxury hotel with Maldives-like beaches and scenery. 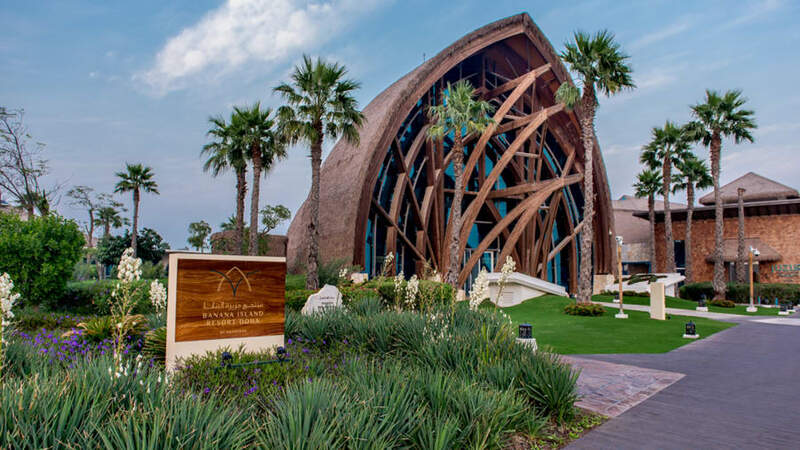 The resort opened 4 years ago in 2015 and has been a popular tourist destination, in particular with Russians, Germans and the English, as well as anyone after some luxury and the hot Gulf sun. The destination boasts incredible water sports, fine dining experiences, beautiful beaches and fun activities such as bowling and outings in boats. The resort is essentially a collection of luxury villas, sea view rooms and bungalows. On site is also a private helicopter for guests travelling to and from the mainland, as well as luxury private yachts for hire. Here is a collection of stunning images that show the beautiful island, along with it’s unique banana-shape and activities on-site.